After news broke in May that Adobe were set to acquire Magento Commerce for $1.68billion; the deal is officially complete. Whether you’re a web developer or you run an online store, you know this news is big! 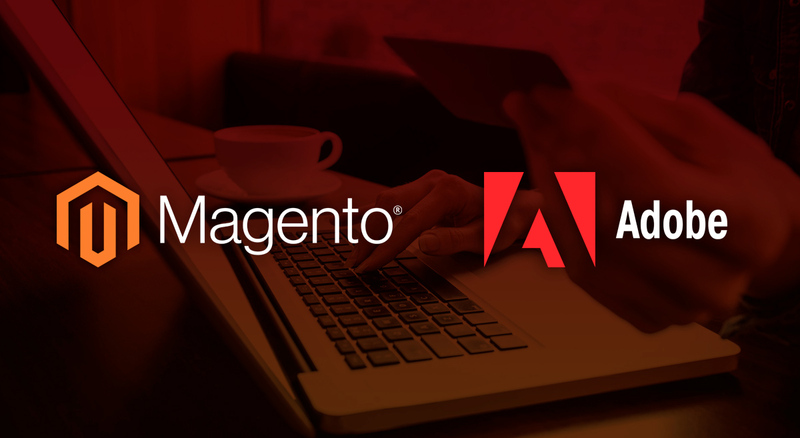 Adobe announced the completion of its acquisition of Magento Commerce, a market-leading ecommerce platform. The addition of the Magento Commerce Cloud to the Adobe Experience Cloud will deliver a single, end-to-end digital experience platform including content creation, marketing, advertising, analytics and commerce for B2B and B2C customers. The Magento Platform brings together digital commerce, order management and predictive intelligence to enable shopping experiences that scale for businesses of any size. Adobe on the other hand, is the world’s leader in designing and delivering digital experiences. Every great experience has a focus on content and data, this enables the consistent, personal, intuitive experiences consumers have come to expect. Commerce is integral to the customer experience—whether on the web, mobile, social, in-product or in-store. Adding commerce to the Adobe Experience Cloud enables customers to make every moment personal and every experience shoppable. With Adobe using innovative technology to set experience expectations higher and higher across the entire customer journey, the acquisition of Magento now adds the transactional element to the mix. How high can Adobe raise the bar? Will they go for a personalized and fully immersed experience in both B2B and B2C experiences? We expect exciting features and integrations to come in the future, so if you’re looking to upgrade your eCommerce platform in the not too distant future, keep a close eye on Magento Commerce. Needing help developing an online store? Speak to OnePoint eCommerce developer member today on (07) 3444 0045 or contact us online.